Samsung is preparing two new Omnia Pro models running on Windows Mobile 6.5.3. Both candybars sport full QWERTY keyboards, rich connectivity options and modest display units. 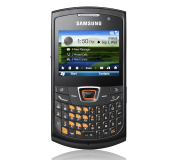 Samsung B7350 Omnia Pro 4 features a 2.6-inch 320x320 pixel touchscreen and 3.2 megapixel autofocus camera. 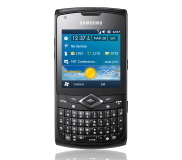 Samsung B6520 Omnia Pro 5 packs a landscape 2.4-inch QVGA non-touch display and a 2 megapixel camera. Boring, we know! The rest of both specs sheets is all the same - 3G connectivity with HSDPA, Wi-Fi, GPS with A-GPS support, FM radio, Bluetooth, 200/220MB internal memory and microSD card slot. Omnia Pro 4 and Omnia Pro 5 run on Windows Mobile 6.5.3 and are powered by a huge 1500 mAh battery. Omnia Pro 4 will hit Europe and Asia in July, while Omnia Pro 5 will be available in August only in Asia. The pricing remains to be announced later. Can somebody wake us up when we move to the Windows 7 era? We can't get the point of releasing two low end smartphones with a deprecated OS the market doesn't seems to care about anymore. I wish the Pro 4 would come to a US carier.